An independent review of prospects for oil drilling off Malta has revealed a potential 260 million barrels, which is more than predicted by the preliminary studies. The review was conducted by an independent firm, ERC Equipoise. Announcing the results of the review, Mediterranean Oil and Gas chief executive officer Bill Higgs said this confirmed the company’s technical evaluation of the exploration potential it had carried out. Mediterranean Oil and Gas has an exploration licence for Area 4 to the south of Malta in the zone where the sea borders with Libya as was delineated by the International Court of Justice in 1985. The company had preliminary studies in hand, based on seismic data, which had given it strong indications the area may contain anything between 130 million and 200 million barrels of oil. However, the independent review results surpass these figures and identify the equivalent of 260 million barrels of oil in resource potential. “We look forward to testing the first of these prospects with the drill bit by the end of 2013, pending completion of the farm-out agreement with Genel Energy announced in August,” Dr Higgs said. In an interview with The Times last month, he said it takes between eight and 10 years to reach the production stage if oil is discovered. The company only has a one-in-10 chance of striking oil but this is considered to be “a relatively high” prospect for an unexplored area that has shown similar geological structures to those found in oil-rich Libyan waters. The sea is 450 metres deep in the area and the oil well is expected to be 2.5 kilometres deep. It will take 60 days of drilling to reach the potentially oil-rich area. 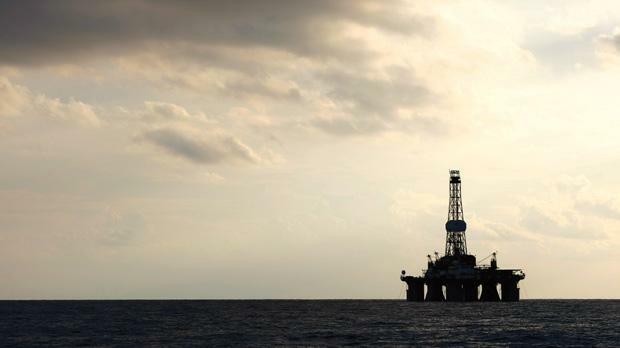 Mediterranean Oil and Gas is in talks with the Maltese authorities to extend its licence for another year and to have the partnership deal with Genel Energy cleared. If approval is granted by this January, drilling of the first well can start in the last three months of 2013.